Coming to Melrose – June 25, 2015, 2:30 – 3:30 pm! How often do you get to hold an alligator? Or get up close and personal with a skunk? 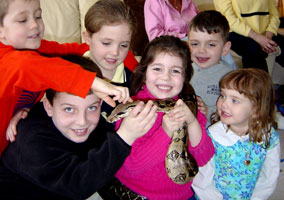 We don’t know what the trained Curious Creatures staff will bring, but you will learn fascinating and fun facts and see up close some of the animals they keep.